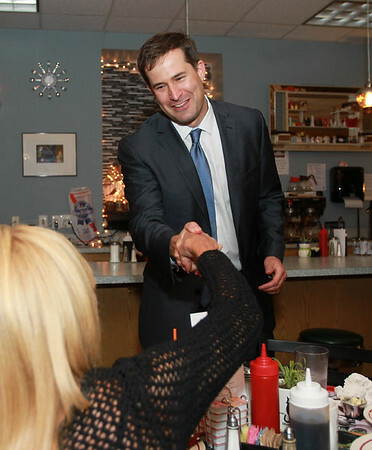 Democratic congressional candidate Seth Moulton shakes hands with Marblehead resident Paulette Brophy, before sitting down to dinner at The Ugly Mug Diner in Salem on Wednesday evening. DAVID LE/Staff photo. 9/10/14.